Scooper - Technology News: Has the threat of terrorism in the US been blown out of proportion? 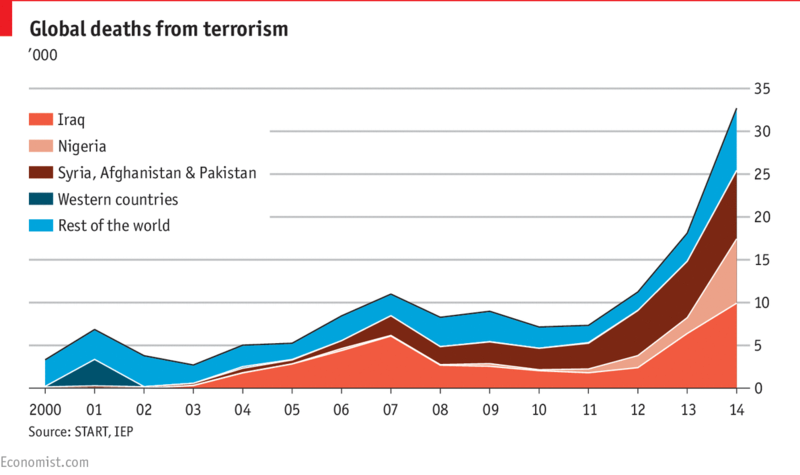 Has the threat of terrorism in the US been blown out of proportion? American politics has been captured by terrorists. In December 2015, polls showed that one in six Americans, some 16% of the population, now identify terrorism as the most important national problem, up from just 3% in the previous month. This is the highest percentage of Americans to mention terrorism in a decade, although it is still lower than the 46% measured after the terrorist attacks of September 11, 2001. The effect of this change in public opinion has been particularly strong in the Republican presidential primary. It certainly boosted the candidacy of Donald Trump, whose anti-Muslim rhetoric has been particularly tough (if not incendiary). Some politicians are starting to call the battle against terrorism “World War III." Terrorism is a form of theater. Terrorists are more interested in capturing attention and putting their issue at the forefront of the agenda than in the number of deaths they cause per se . The Islamic State (ISIS) pays careful attention to stagecraft. The barbaric beheadings that are broadcast and disseminated through social media are designed to shock and outrage – and thereby capture attention. By exaggerating their effect and making every terrorist act a lead story, we play into their hands. Terrorism is like jiu jitsu. The smaller actor uses the larger actor’s strength to defeat it. No terrorist organization is as powerful as a state, and few terrorist movements have succeeded in overthrowing one. But if they can outrage and frustrate citizens of the state into taking self -defeating actions, they can hope to prevail. Al-Qaeda succeeded in luring the US into Afghanistan in 2001. ISIS was born in the rubble of the subsequent US-led invasion of Iraq.